I kept calm during a colonoscopy and you can too! November 26, 2017 in cool stuff, energy, pilates by LightSpace Pilates & Wellness, LTD.
Annie writing today! I had a lightbulb moment during my routine colonoscopy last week. (Side note, had to have due to family history). Let’s play a game called BEFORE and AFTER! November 19, 2017 in cool stuff, energy, pilates by LightSpace Pilates & Wellness, LTD. Check out these photos – do you notice a difference in the client’s posture between the two? Look closely….the differences are subtle but have a HUGE affect on their alignment. Pilates, Qigong, and a feast for your eyes…! 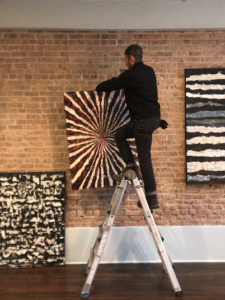 November 14, 2017 in cool stuff, energy, studio news by LightSpace Pilates & Wellness, LTD.
New at LightSpace – a selection of amazing paintings by local artist Andre Daugavietis! Where else in Chicago can you do Pilates, practice Qigong, and be surrounded by fine art than at LightSpace? LightSpace featured in Voyage Chicago Magazine! 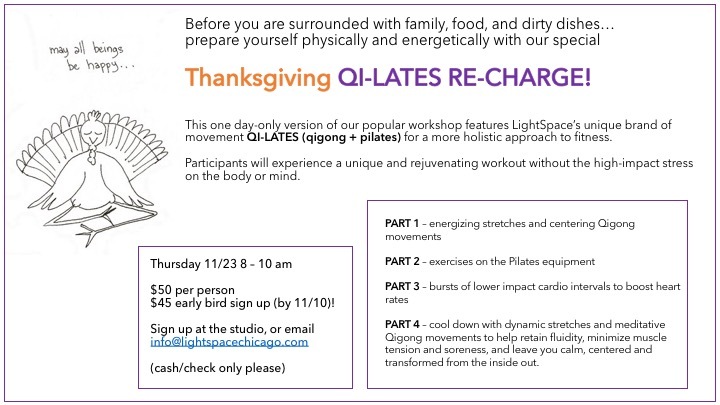 November 8, 2017 in cool stuff, energy, pilates, studio news by LightSpace Pilates & Wellness, LTD.
LightSpace is featured as a “Chicago Inspiring Story” today in Voyage Chicago Magazine – Check it out and find out how we got started! Announcing a very special Thanksgiving RE-CHARGE! November 6, 2017 in cool stuff, energy, pilates, studio news by LightSpace Pilates & Wellness, LTD.